Home / Games / News / Counter Strike Player Get a Knife in the Head ! It happened in China’s northern province of Jilin, inside a net café that does not require the regulated identification cards for those to play. In a group playing Counter-Strike over the LAN, a 17-year-old boy was fingered for using a "wall hack" cheat that obviously angered the other players. 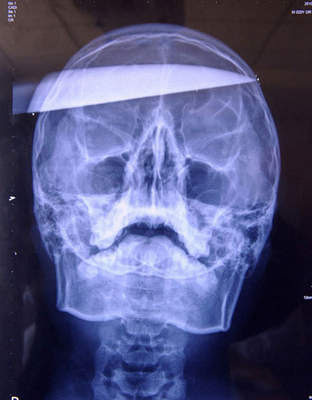 A fight broke outside the internet café, where the 17-year-old boy was stabbed in the head with a 30cm blade that made it through the width of the skull. Astonishingly, the boy remained conscious of what was happening as he was being rushed off to the hospital. After 10 hours of surgery, doctors were able to remove the blade but are still concerned over bacteria and rust particles that may have found their way into the brain. Doctors say that the 17-year-old boy was lucky that the knife did not damage the intracranial blood vessels, though they are still unsure as what the long-term prognosis is.